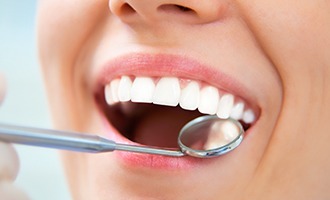 Oral health should always be a top priority, of course, but our team at J.B. Dental also understands how important it is to feel good about the smile you have. It’s a reflection of your personality and self-confidence, after all! 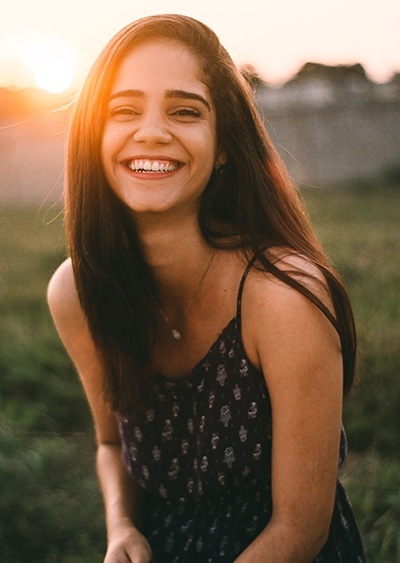 If frustrating flaws and imperfections have made it difficult to talk openly with friends or stand front and center in photos, consider speaking to Dr. Bancroft about cosmetic dentistry. We offer several dazzling services here in Westminster, CO that can make a vibrant difference for your one-of-a-kind teeth. 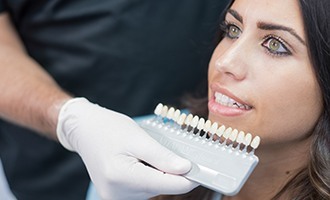 Many patients enjoy using veneers for “instant orthodontics,” while others are able to finally get rid of dark-colored spots that don’t respond to traditional teeth whitening. We can help you determine whether or not this service is right for you during an initial consultation. 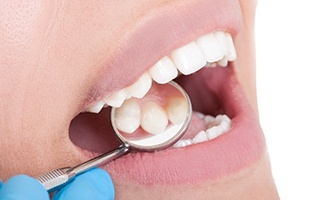 When it’s time to repair a damaged or decayed tooth, patients don’t need to be nervous about ruining their smile’s natural appearance with dark-colored materials. Instead, metal-free restorations can provide the perfect marriage of long-lasting durability and superior aesthetic value. The high-quality ceramic materials Dr. Bancroft uses are an outstanding match for natural enamel – it even reflects light in the same way! Once securely in place, it’s very likely that no one will be able to pick out which tooth isn’t the original. The days of traditional amalgam fillings are safely in the past here in Westminster. Now, our dental team relies on tooth-colored composite resin for cavity correction, which offers patients lasting benefit from several different angles. First of all, as the name implies, tooth-colored fillings are precisely matched to the natural shade of your smile so that they blend right in. The composite resin is also highly flexible and can be melded into smaller fillings that preserve as much natural tooth structure as possible. Better yet, the lack of metals means no excessive sensitivity to temperature changes! Sometimes, even the smallest smile flaws can loom large in photos or the bathroom mirror. If you’re ready to make a quick change, direct bonding may be the best method available. For this cosmetic service, Dr. Bancroft will use the same material that make up our tooth-colored fillings – composite resin. After determining the ideal shade, she will apply the resin to the tooth in question, sculpt it into a lifelike shape that hides the chip, stain, or other minor flaw from view, and harden it in place with a curing light. You’ll be ready to smile brighter after just one visit. 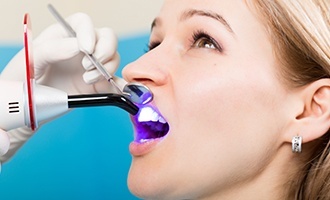 Teeth whitening is one of the most popular cosmetic services, and it’s not hard to understand why. Most patients will experience some discoloration or staining on the tooth enamel over the years, and while “over the counter” whitening products may not be able to reserve the effects, professional kits from a trusted dentist like Dr. Bancroft are more than up to the challenge. After just a few weeks of using Opalescence whitening gel and custom oral trays at home, patients should see their smile’s natural color brighten by several shades. Far too often, older patients feel like they’ve simply missed the boat on straightening their smile. They don’t want to commit to wearing juvenile metal braces, after all – and they shouldn’t have to! At J.B. 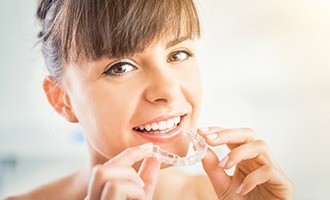 Dental, Invisalign Clear Braces offers a more subtle and sophisticated alternative to traditional orthodontics. There are no more brackets, no more wires, and no more rubber bands. Instead, patients wear sleek aligners that fit comfortably over the rows of the teeth and are pleasingly clear. Everyone wants white teeth, but white spots on the teeth are much less desirable. If your teeth suffer from uneven coloration due to factors like fluorosis or dental trauma, talk to Dr. Bancroft about Icon treatment. This painless, minimally invasive procedure uses a special resin to fill in unsightly areas, resulting in a smile that appears much more uniform. The process is fast and relatively inexpensive. 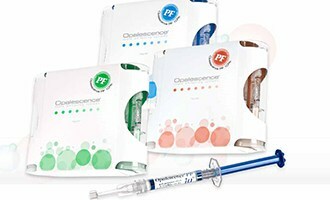 It is suitable for most patients who have white spot lesions on their teeth.